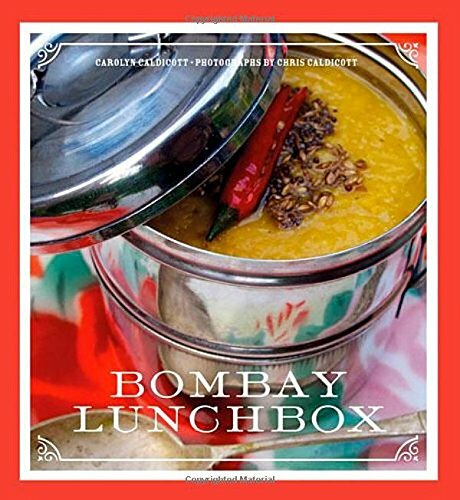 Bombay Lunchbox is a compact cookbook, filled to the brim with sweet and savoury tiffin recipes and the sort of photography that makes the reader’s tummy rumble and feet itch. When I received it for review, I was unprepared for how this little book would make me feel once I turned the first few pages. The illustrations go far to make it less of a read or instructive kitchen tool and more of an experience, like a city break on paper. It’s so evocative that you can almost SMELL India on these pages. So, Bombay Lunchbox arrived in the post. Before I knew it, I’d tabbed the pages of recipes I’d decided to try. Next, came the necessary spice inventory to ensure I could properly make myself an authentic little tiffin. There was then an outing to a nearby Indian spice merchant to fill the ingredient gaps, and the dusting off of my cake stand, ready for loading with cucumber sandwiches spiked with spicy mint and coriander chutney and miniature masala papad. Darjeeling tea was brewed along with a little dish of sugared fennel seeds, which I could quite happily shovel into my mouth by the handful. To complete the scene, should I watch a Bollywood classic, or snort my way through the antics of Clarkson, May and The Hamster in the Top Gear India special? 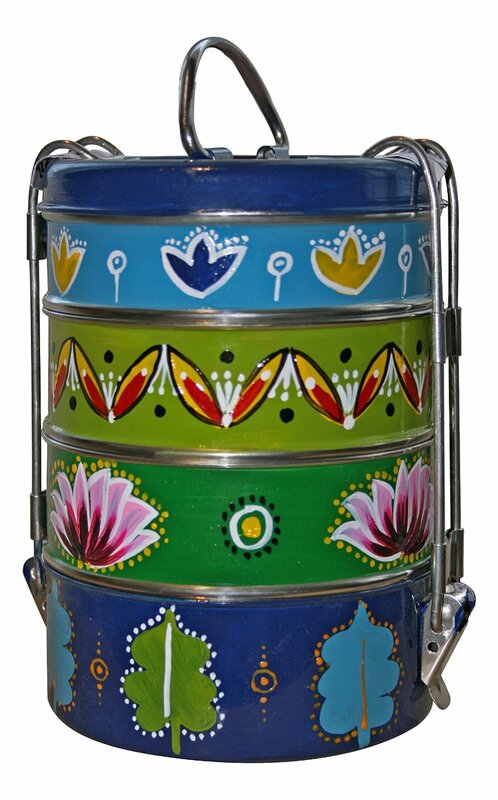 It’s a proper, four-tiered tiffin tin – which, if you don’t have a wallah to deliver your lunch in such colourful style to the office, could act as an original serving tool for an Indian food-fest at your place. It could also be combined with a copy of Bombay Lunchbox and some Indian spices to create a wonderful gift for an Indian food-loving friend. Then all that remains is to make a date to cook up a tiffin storm together and settle in for some back-to-back Bollywood.